Check it out, you’re going to rock this years holiday party right?? But first, please loose those damn STEVE MADDENS & ancient Colehaans that’re creasing across the toe and look like you’ve tracked through the rust belt… By the way, I’m talking to ladies and gents believe it or not. My friend, you need to be elegant and worldly this year in your attire; have a bit of panache this year.. You need to build your”Go-To” items arsenal. So what the hell should you do?? Please get your shirts tailored for God sake.  A simple browse of Glenwood South Tailor's instagram page and you can see what I’ve encountered on my daily grind - its rough, but repairable. Bare minimum - Get the sleeves tapered and darts sewn in the back-Please? Please have them tapered, not too tight though. They should be between 7-8.5 inches wide (holding your trousers sideways) this way you save money on purchasing new slacks. Suitsupply and Jcrew trousers require the least amount of alterations, usually less than $50. The Bowery Classic is a very sharp choice. When guys come into our shop we suggest these two basic for your suits and trousers. We do this all the time and taper both seams for a balanced front and side appearance.